It is often said that the eyes are the windows to the soul. This may be true, but the eyes are definitely a window to your health. A competent eye doctor can detect various diseases and problems early enough to save your life, just by giving you a thorough eye exam. This is so critical to your health and so well documented that most states have laws that determine minimum requirements for a complete examination. In our office we have discovered early signs of diabetes, glaucoma, cancer and even brain tumors, just through a routine eye exam. The minimum requirements for “Vision Analysis” in the state of Florida (Florida Statutes 64B13-3.007, and 64B13-.012) are important minimum guidelines for a routine and complete eye exam. But because most consumers don’t know these statutes exist, or what is required, many unscrupulous facilities will only check for a prescription, thus putting you in jeopardy. What you don’t know could kill you. 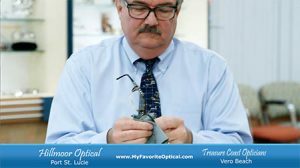 Below are the most important aspects of a proper eye exam in the state of Florida. We suggest you become familiar with them before you schedule your next eye exam. It could save your life or that of a loved one. Exams should be performed by a licensed practitioner, preferably an optometrist or ophthalmologist who is licensed in Florida. Florida laws are very stringent in this regard and very protective of your health. If the doctor is licensed in this state she/he has the knowledge to pass the difficult examination process, and is capable of providing an accurate assessment of your eye health. Some local optical establishments have no licensed doctors on staff (or opticians). These facilities will often use a machine called an auto-refractor to determine a final prescription. This is not an eye exam. This machine is supposed to be used as a starting point for a thorough exam to aid the licensed practitioner in arriving at final diagnosis. By itself, this machine is inadequate in determining an accurate prescription. It is important to find out ahead of time what is entailed in the office’s exam process. Protect yourself and your loved ones, don’t be taken in by “Free Eye Exam” offers, as they are worth what you pay for them. Go to a professional who takes your vision and your health seriously. At Hillmoor Optical, we pride ourselves in administering the most comprehensive eye exams possible using the latest equipment. Our optometrists are board certified and bring years of experience. Dr. Betty Zondag received her degree in optometry from Indiana University in Bloomington. 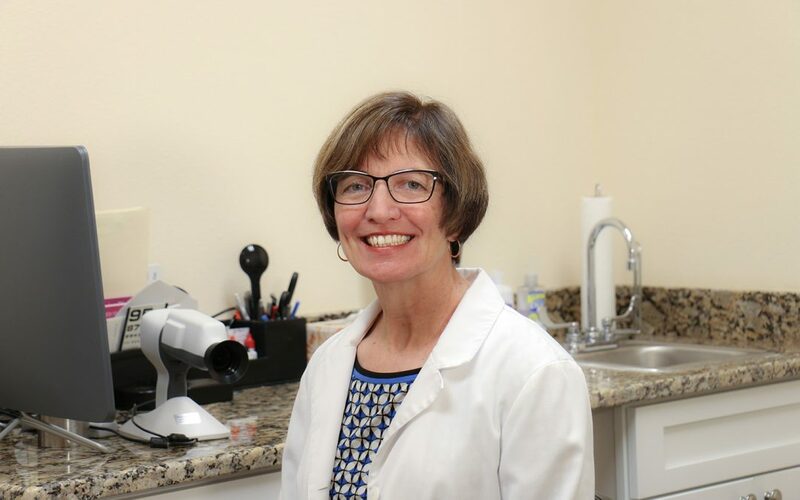 She has extensive experience in general optometry, as well as medical optometry and advanced prism evaluation for those patients requiring peripheral prism glasses due to a condition called decompensating phorias (the loss of vision on the same side in each eye), which impairs the ability to navigate and walk safely. It brings Dr. Zondag great satisfaction to help patients effectively manage this vision impairment.